Who is looking for perfection? Today, just after the holiest and most awe-inspiring days of the new year, I was so happy to discover this… it’s something I wrote way back, when I was a new mom, and it rings just as true today. God is not looking for perfection, and though I always knew this, in my mind, I think that it only began to sink into my heart not so long ago. It cost me a great many tears until I reached this realization, but the reward was infinitely wonderful, because it gives a sense of security and confidence each one of us, as His precious child, deserves. He is not, and cannot be, looking for perfection, because He did not make me perfect. He left room for improvement, and He delights in, and appreciates the efforts I undertake to improve. Yes, there is the standard (vast and challenging) set of commandments each practicing Jew sees him or herself committed to. But other than that, He watches and appreciates me according to my own abilities and limitations – not those of other people. 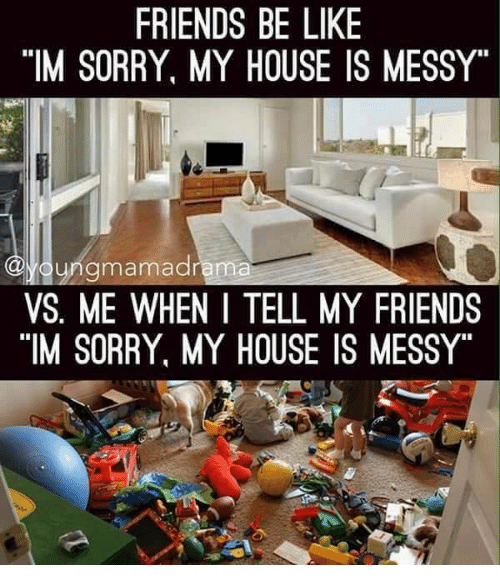 For example, even though I am dedicated to – and know my place is in – my home, with my family, caring for my children, even though I have never been happy and content anywhere the way I am in my home throughout each day, the practical truth is that I’m challenged when it comes to everyday domestic tasks. And I mean, really challenged, which is why, when I say “if I can do it, anyone can”, I mean it most sincerely. I think the reason for this is a combination of natural clumsiness and forgetfulness (I’m prone to knocking things over, and I’d be lost without my notes and lists), and not being required to lend a hand around the house when I was a child, which could have formed helpful lifelong habits (but which undoubtedly would have been frustrating for whoever tried to engage me in helping). So, if someone stops by one day and examines my house with a critical eye, perhaps some lingering undusted spots may be noticed, and some lack of order. But God doesn’t see this. He knows what my house had been like before, and knows the effort I put in to achieve a certain measure of tidiness. He knows the long hours I spend working in my home every day, long after the baby goes to sleep, scrubbing floors, ironing and working in my kitchen. He knows I do it all with a happy heart, thinking about how to make life more comfortable and orderly for my family. And he appreciates it, even though I might be forever and always lagging behind someone else’s standards. He doesn’t want or expect us to be perfect. He wants our dedication, our faithfulness to the important tasks handed to us, our willingness to improve, our best efforts, our cheerfulness, our joy in being with Him, our appreciation of the blessings that adorn our lives. And He wants, appreciates and loves us, just the way we are, with our weaknesses, our misconceptions and our failings. He sees us through eyes of compassion and love, which is how we are to be with our own children: to value and cherish them for what they are, never compare them with others, but celebrate their achievements as they make progress at their own pace. Who knows how many children’s souls have been terribly wounded, not by lack of care or provision, but by constant remarks about some other child, who speaks three languages and plays the violin. Thankfully, God is beyond human failings. Yes, He will never fail us. We should know that each and every little thing is rewarded, even when it is seemingly noticed and appreciated by no one. He sees, He knows, and that is why pleasing people or measuring up to other people’s standards is not supposed to be our primary goal. He looks at our heart, and may we ever and always be strengthened and comforted by this knowledge. I love writing fiction, and feel so incredibly lucky to have several books out in the world now, with more planned to come under my fiction pen name, Hannah Ross. Wild Children, the first part of a post-apocalyptic saga, was released close to a year and a half ago, and I’ve been working on the sequels ever since. This project has been a long time in the making, because my publisher and I made the decision to release not one, but two sequels simultaneously. The Hourglass is told from the perspective of Priscilla Dahl, a 16-year-old girl who forfeits her privileged position in society to seek justice. Freeborn is the story of the backlash that occurs when the government decides to rein in the outlaws it has shunned for many years. The beloved characters from the first book – the children from the orphanage, Benjamin Grey, his parents Rebecca and Daniel, and the new friends he makes in the world of freedom and precarious life on the edge – are all there in the sequels, too. A few months ago, just as we were finalizing some details of the impending release, a dear and beloved friend of mine, Julie Ryan, unexpectedly passed away. As I was reeling from the shock of these horrible news, my publisher asked about the book dedications, and I thought that it would be a fitting tribute to dedicate The Hourglass to Julie. The theme of this book is time – the running out of it, and doing things that will make every hour and day of our allotted time count. This is something Julie understood well, and taught me – in her life, and ultimately in her sudden death. She made every day count. She lived her life to the fullest. So, dear one up above, this book is for you. In celebration of this double new release, Wild Children will be free on September 15th and 16th, so go ahead and download your copy. Your support in the form of shares, reviews and social media mentions is always appreciated. Thank you. Because of the house move, we didn’t plant anything this spring and summer, but we did have a nice surprise: a volunteer tomato plant that sprang up in the garden and wrapped itself around a bush, turning into a mighty tomato tree. On our last visit, we discovered it to be full of red, ripe, beautiful (and delicious!) tomatoes. We were surprised that the people who are currently renting our house didn’t pick them. Apparently, they thought tomatoes that don’t come from the store aren’t safe to consume. We collected literally a bucketful of produce from this one plant, which just goes to show you don’t necessarily need a large garden to grow a lot of food. And there wasn’t a single worm or a sign of blight or rot! I have never seen such lovely tomatoes. Also wanted to take this opportunity to wish a Shana Tova (happy new year) to all the Jewish people out there. In our family, Rosh haShana is always a double celebration, as it’s also our sweet Tehilla’s birthday. It’s unbelievable that 8 years have gone by already! In between all the rush of unpacking and preparing for the High Holy Days, we are getting to know our new neighborhood. There are lots of beautiful green nooks and trees that are great for climbing. Now that I have actually made a dent in the boxes and have all the essentials on hand, I look forward to making progress on this weedy patch of land and seeing what we can grow and do there. I will post more updates soon!